Still others suppose that edgames are commercial ones like Sid Meir’s Civilization, Minecraft, or Pokemon Go that are then tied to education goals. In other cases, the game may be a specific simulation, for example, the 1979 Revolution: Black Friday or The Body VR. Both serious games, one puts the player in the midst of the Iranian Revolution. The other takes a player on an Oculus tour of the human biological system. “All of the above” is the correct answer. An edgame can be a variety of things. 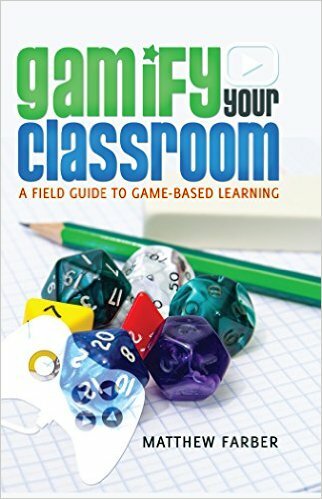 Farber’s search for an edgame definition unsurprisingly includes an interview with the godfather of game-based learning (GBL), James Paul Gee, someone we’ve discussed previously. We recently wrote up Professor James Paul Gee’s 16 Principles for Good Game-Based Learning. But even though Professor Gee provides a lot of structure and regular commentary about what makes a good edgame, he dismisses many of the nuances needed to define one. For Gee, a game’s adherence to every aspect of defined games or every principle of game-based learning is irrelevant. What matters is that the game inspires learning. In essence, good edgames or game-based learning platforms inspire children to learn. They involve students and capture their interest. As a result, they deliver exceptional educational value. Most educators want supplementary curriculum tools that engage and help students master their studies. So whether a game is short or long, comical or serious, made for education or originally developed for commercial use is immaterial. To be an edgame for educators, it simply must meet the barometers of engagement and basic learning. What do you think makes an edgame?